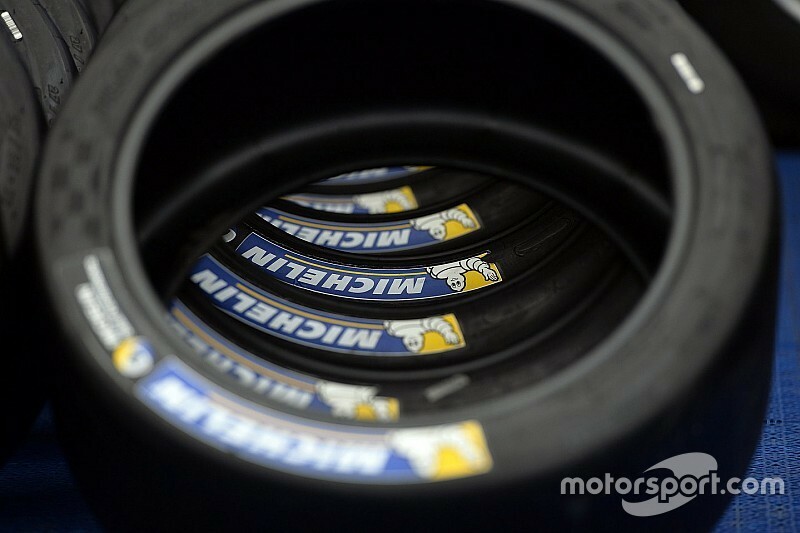 Motorsport.com spoke exclusively with Michelin's motorsport boss about the decision to apply to become Formula 1’s official tyre supplier from 2017 with a proposal to move the sport towards 18-inch wheels. After weeks of deliberation about its plans, the French company said on Tuesday that it had applied for the FIA tender that was opened last month. Michelin’s motorsport boss Pascal Couasnon said that his company had taken the decision because it was unhappy about the direction F1 had taken with its tyres. “We're a bit disappointed to see where the technology lies – at least, the way tyres are represented in F1. We've been talking about this for a while. “We made some proposals in F1 already but couldn't get the chance to go really far into it two or three years ago. Now that there is a well-established process, we were able to formulate an offer with our ideas. “Indeed, one of the extremely important things is that in addition to providing a show with technology and tyres that correspond to something, we would like to get closer to everyday life. The FIA deadline for the tender is on June 17 and after saying at Le Mans that it was ‘50/50’ about whether or not to pursue an F1 return, Michelin’s board has now decided to go ahead with a push to win the contract. The move means that F1’s current supplier Pirelli will face competition for the tender, with a final decision due to be taken after the FIA has spent the next month deliberating on technical and safety criteria of candidates. It is unclear at the moment whether or not other tyre companies will also lodge applications to join the process. Michelin wants a move to 18-inch wheels, as it believes they are of more road car relevance. However, F1 teams have questioned that direction amid fears that the extra weight such wheels will bring could slow the cars down. Couasnon has made it clear, however, that an F1 entry for Michelin will only happen if there are 18-inch wheels. “It's clear that even if we go through the FIA process and they say: "You can get in but with the 13-inch, then it won't go further,” he said. The final decision will be made by the FIA, however, although there will be input from F1 supremo Bernie Ecclestone who will have to sort out commercial considerations. Pirelli is known to invest heavily in trackside advertising and race branding, a factor which could influence the final decision in its favour for 2017.